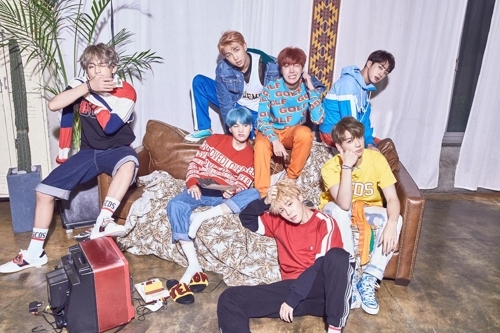 SEOUL, Oct. 14 (Yonhap) — Boy band BTS has taken the K-pop scene by storm again, with its latest EP album selling over 1.2 million copies in Korea in little less than a month. The lead song “DNA” made BTS the first Korean boy band to land on Billboard’s main “Hot 100″ chart. 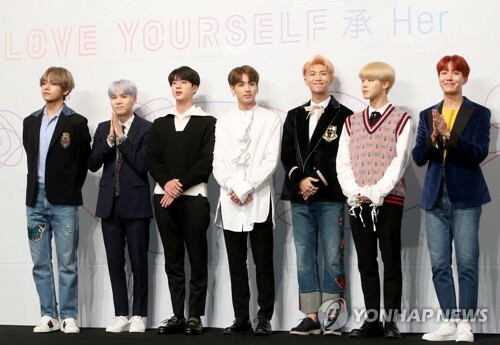 Now with BTS wrapping up its media promotion activities for the album, “Love Yourself: Her,” fans and industry observers are guessing what will be the next surprise. No wonder many are betting on the possibility of a 2018 Grammy Awards nomination. The Grammy talk first emerged after the Recording Academy, which runs the Grammy Awards, published a short news article, titled “BTS ‘DNA’ Video Tells 7 Members’ Stories With Color,” on the awards website earlier this month. 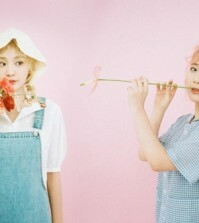 “Inviting comparison with Psy and Wonder Girls, ‘DNA’ and BTS have broken into the mainstream,” the report noted. The American organization of recording professionals is scheduled to announce the nominees for next year’s 60th Grammy Awards on Nov. 28, local time. Billboard has also posted a video clip in which a panel of music experts mentioned the possibility of BTS being nominated for best new artist. “If you look at the impact of artists like BTS… they could,” Mikey Fresh, music editor at Vibe, said, though adding he wasn’t sure whether the band would be eligible for the category considering strict guidelines in which the Grammys operate under. Bae Soon-tak, a Seoul-based music columnist and critic, also gave a positive outlook, saying there’s “50-50″ chance of BTS becoming the first K-pop nominee at the Grammys, considering several past surprise candidates and winners for best new artist. “Best new artist nominees in the past weren’t necessarily the most popular musicians then. Often artists with a strong cult followings but with low name recognition or those with sense of creative freshness were recognized by the Grammys,” Bae said. The nomination itself would create a huge amount of buzz, Bae predicted. “It’s not just BTS’ strong social media fan base but the album is actually holding strong on the charts. I think there’s a 50-50 chance,” he added. Others offered more cautious projections. Im Jin-mo, another music critic in Seoul, explained how the Grammys tend to shun non-U.S. artists. “The Grammys have a tendency of shutting out even British musicians. 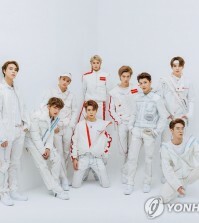 I don’t think the organization has a soft spot for K-pop. BTS could possibly take aim at a nomination for best new dance recording, but I don’t see them yet winning an actual prize,” said Im. BTS won the Top Social Artist award at the 2017 Billboard Music Awards in May. While the award depends on the popularity on social media, the Grammys are purely decided by the Recording Academy’s professional members. BTS fans expressed hope for their idols to be recognized on pure artistic merit. “I want to see BTS recognized as artists at the highest level, not just as idols or a ‘boy band,’” Twitter user @GenkaiPriestess told Yonhap News Agency over the social media platform. “A Grammy is the most prestigious music award in the world, and significant because it is not a fan-based award or based on sales or streaming,” she added. Hack snap chat and know the secret of others. Nice to explore such awesome working platform. I love it.